Following a tough shootout loss to the Philadelphia Flyers, the Rangers (5-2-2) are back under the lights at Madison Square Garden, taking on the struggling Calgary Flames (2-5-0) and looking to get back to their winning ways. Just like last week, after dropping an overtime game to the Devils, there’s no time to dwell on the loss, with New York playing yet another back-to-back series, their third already. Calgary is beginning a three game road trip, following a dramatic overtime win over the Detroit Red Wings. The captain Mark Giordano scored two goals, including the overtime winner, and Calder Trophy finalist Johnny Gaudreu tallied two assists, giving him nine points (1-8-9) already. Jonas Hiller started that game, turning in one of his best performances this year. Hiller made 27 saves en route to his second win of the season. Goaltending has been a big issue for Calgary, and Hiller has a 3.31 GAA and a .882 save percentage. He’ll start Sunday. Johnny Gaudreau is showing no signs of slowing down or of a sophomore slump, as he is leading his team in scoring through the first seven games. His eight assists are tied for second in the NHL, and he’s just one point behind the leader. He’ll be a focal point of the offense. Henrik Lundqvist was tremendous yesterday, making 46 saves against Philadelphia. However, he’ll watch this game from the bench as Antti Raanta makes his second start as a Ranger. It’s a good thing he’s playing at MSG, because he’s been lights out on home ice. In his career, Raanta is 15-0-3 with a 1.51 GAA and a .944 save percentage when playing at home. His Rangers debut came last week at MSG, and he shut out the San Jose Sharks for a 4-0 win. The Rangers defense played well in front of him, and he’s a player to watch tonight. Antti Raanta is back in net for the Rangers. Photo courtesy of MSG Photos. The only lineup change for the Rangers is a forced one, as Viktor Stalberg has been ruled out for tonight’s contest due to a head injury. Last night, Stalberg left the game after being hit up high by Radko Gudas. There hasn’t been an update on his codition, and it’s unknown how long he will be out for. In steps Emerson Etem, the talented youngster that just can’t seem to put it together. Etem has played just one game with the Rangers, skating for just 7:09 in the loss against the Canadiens. He was on the fourth line, buried in the defensive zone, and never had a chance to showcase his abilities. 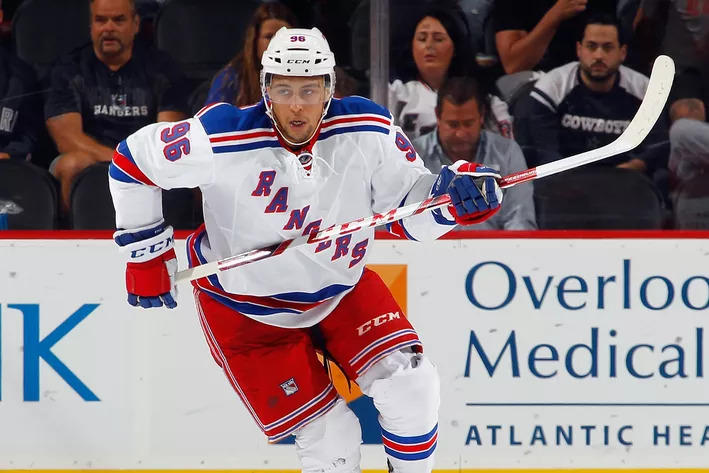 If I’m Vigneault, I would shift Jesper Fast down to the fourth line because he’s better defensively, and let Etem play alongside Chris Kreider and Derick Brassard. He needs a chance to play offense, because that’s where his skills lie. If he wants to stick in the lineup, Etem will need to start creating chances, winning the 50/50 puck battles, and using his speed and strength to his advantage. Photo courtesy of Bruce Bennet/Getty Images. The Kevin Hayes line was absolutely fantastic yesterday, combining to score the first goal of the game. Kevin Hayes is much more in control at center, and JT Miller and Oscar Lindberg are great companions on his wing. 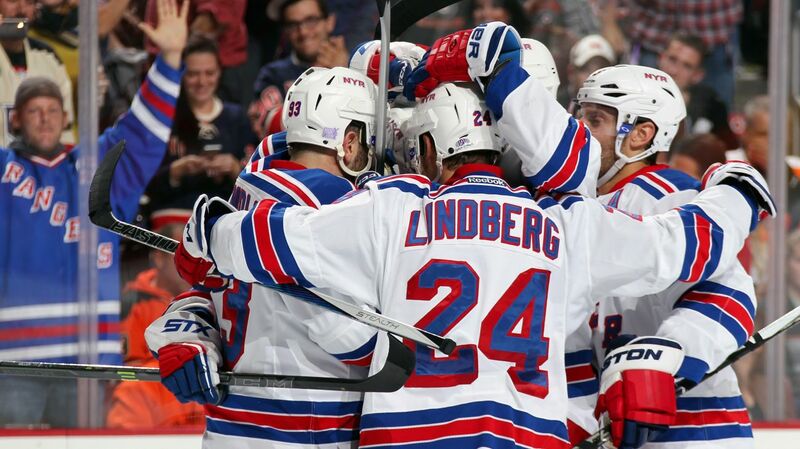 While Rick Nash and Chris Kreider continue to struggle to score, Vigneault should lean heavily on this third line. And give Oscar Lindberg more ice time too. Keith Yandle’s play last night to get the puck on net earned him yet another assist, extending his point streak to three games and tying him with Mats Zuccarello, Oscar Lindberg and JT Miller for first on the team in scoring with six points. Yandle has been getting better after every game, and he’ll be counted on while the rest of the defense, namely Ryan McDonagh, Marc Staal and Dan Girardi, also continue to struggle. The Rangers and the Flames will face off at 7 PM at Madison Square Garden. The game will be broadcasted on MSG Network. Posted on October 25, 2015, in Game Previews and tagged Alain Vigneault, Calgary Flames, Chris Kreider, Dan Boyle, Dan Girardi, Derek Stepan, Derick Brassard, Dominic Moore, Duclair trade, Dylan McIlrath, Emerson Etem, Jarret Stoll, Jesper Fast, Johnny Gaudreau, JT Miller, Keith Yandle, Kevin Hayes, Kevin Klein, Madison Square Garden, Marc Staal, Mark Giordano, Mats Zuccarello, MSG, New York Rangers, New York Rangers blog, NHL, NYR, Oscar Lindberg, Rangers, Rangers blog, Rick Nash, Ryan McDonagh, Viktor Stalberg. Bookmark the permalink. Leave a comment.